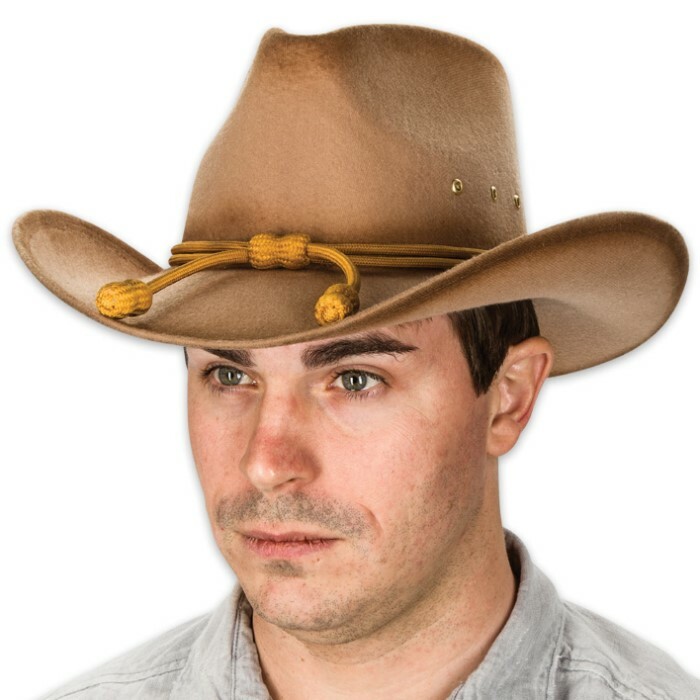 Classic Western Cavalry Hat Replica | BUDK.com - Knives & Swords At The Lowest Prices! 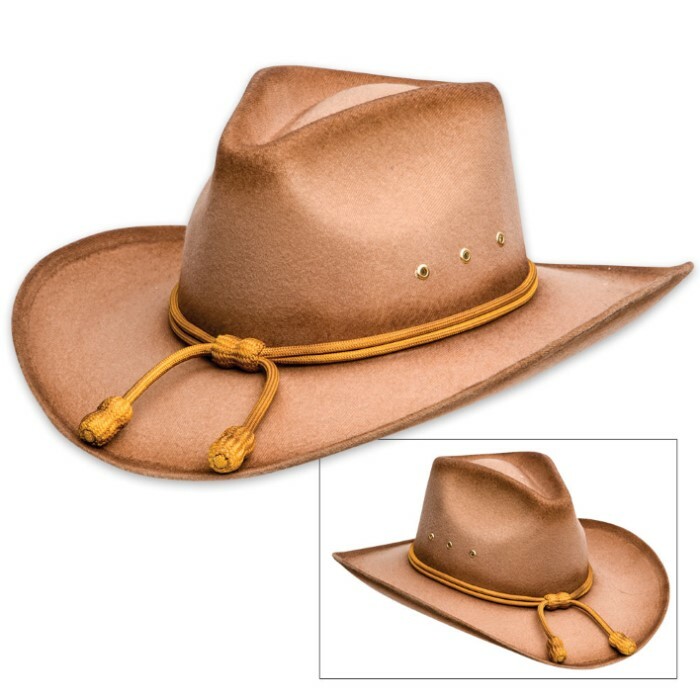 Our Classic Western Cavalry Hat Replica was inspired by popular movies that highlight the stories of our United States Cavalry. This makes it both great movie memorabilia and a historical collectors item. 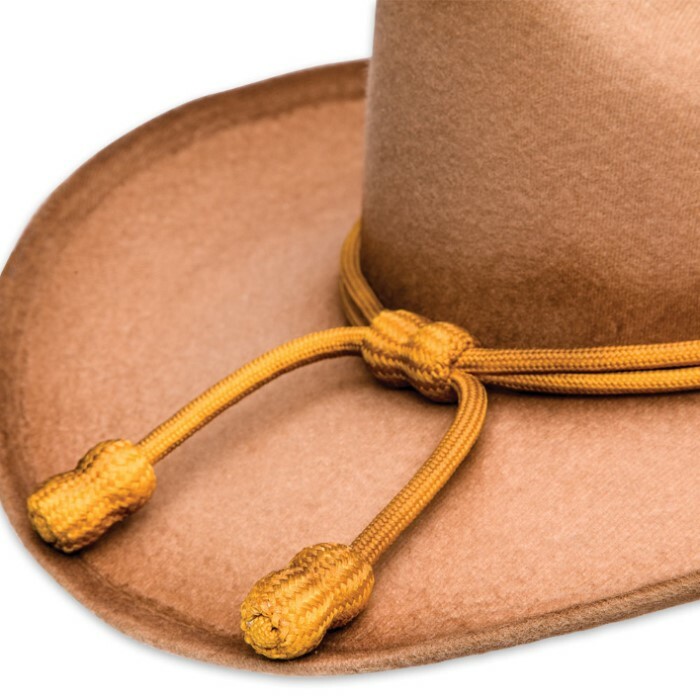 It is made of faux felt and features a gold elastic tassel. The elastic band inside assures a snug fit. The crown measures approximately 4 1/2" deep x 22" circumference.